This shoe is on fire! Cole Haan knows it and they want you to know it too. So they're all set to release another LunarGrand limited edition. 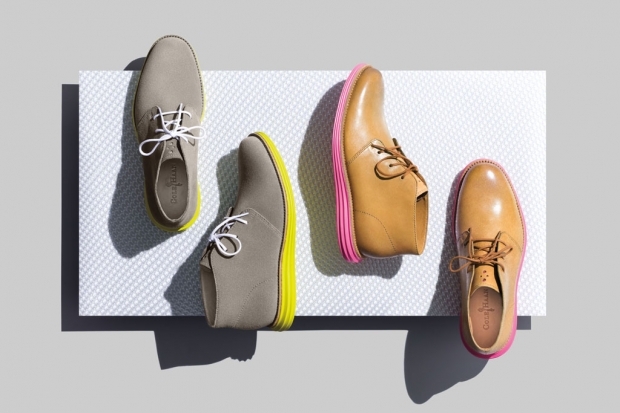 On July 24 at the SohoNYC store the two new colorways Cole Haan will release are a grey suede upper with a neon yellow Lunarlon sole and a tan natural cow leather with burnished toe and neon pink Lunarlon sole. They will release at other retail outlets like Undefeated LA, Colette Paris and London's Dover Street Market on July 28.